Quick and easy changeover for different product sizes. Reduces time and labor when changing sizes. Ideal for overhead conveyor applications. 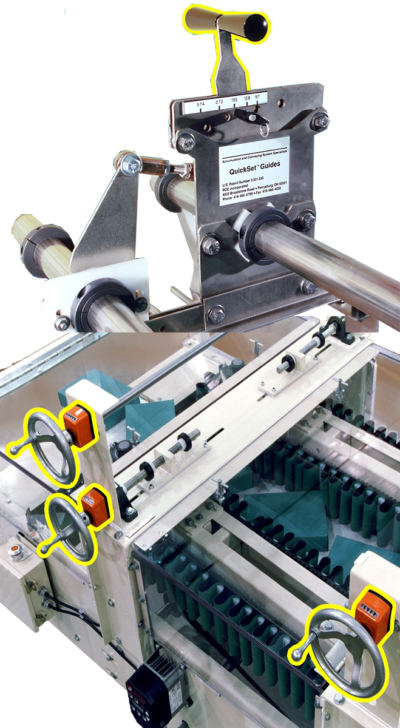 Adjustment handles can be extended to the floor for safe operator changeovers.